Top Marks will be at ND on Monday, August 27 from 12:00 p.m. - 3:00 p.m. for NEW STUDENTS. 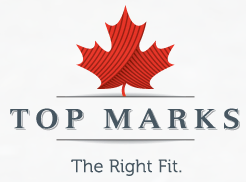 Please book an appointment via info@topmarks.ca or 1-800-667-7105, for more information click here. For returning students Top Marks will be at Notre Dame High School on the following days for returns, fittings and ordering: Thursday, September 6 - 2:30 p.m. - 4:30 p.m. Thursday, September 13 - 2:30 p.m. - 4:30 p.m. Thursday, September 20- 2:30 p.m. - 4:30 p.m. Thursday, September 27 - 2:30 p.m. - 4:30 p.m.